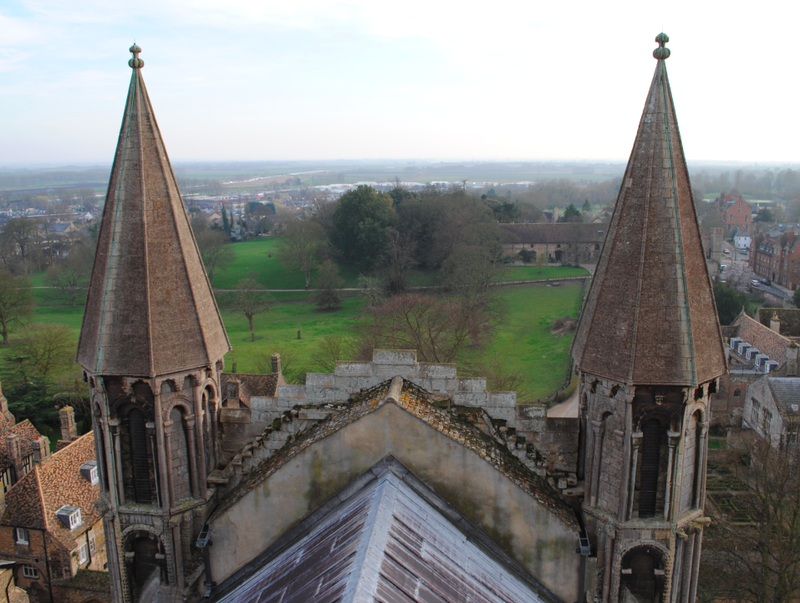 Construction of the monastic church in Ely began in 1083 under the leadership of the Abbot Simeon, who was a kinsman of William the Conquerer. 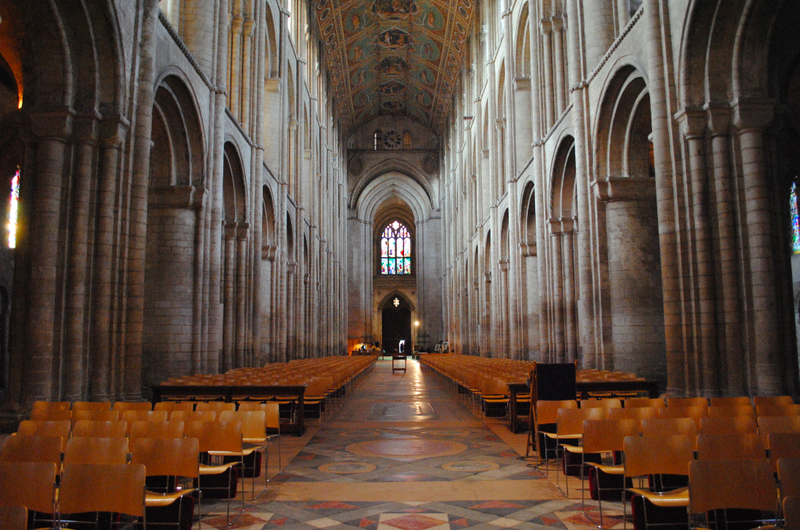 The church became a cathedral in 1109 with completion of the building in its present form by 1350. 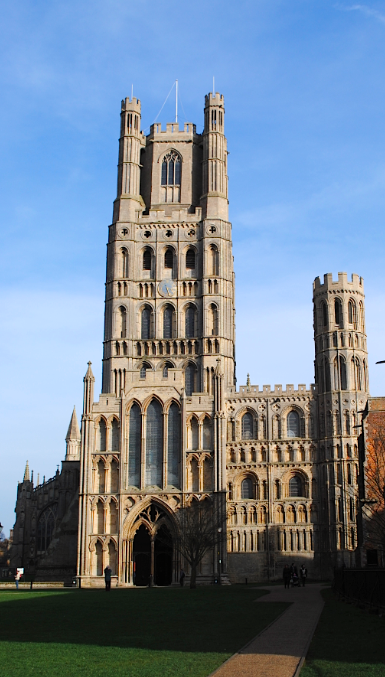 Also known as the Ship of the Fens, the cathedral is constructed of ashlar faced Barnack limestone. 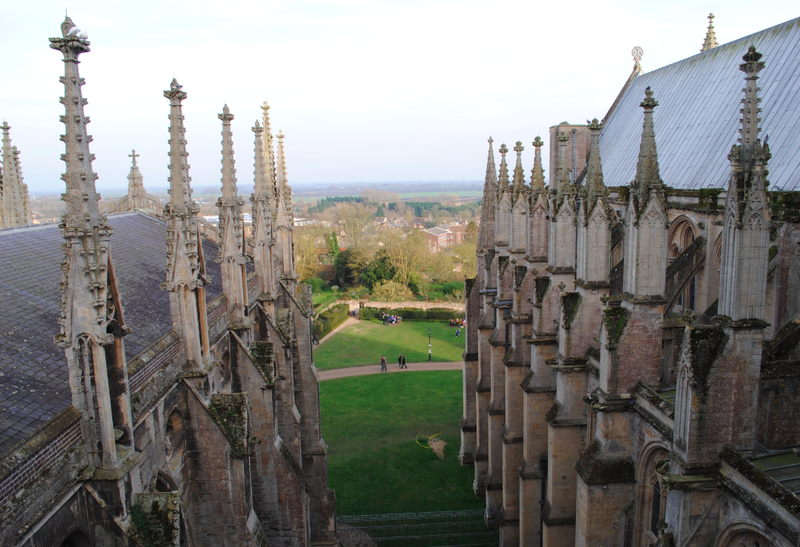 Flying buttresses support the 12th century exterior which retains numerous carved figure heads and grotesques adorning the towers with pinnacles. 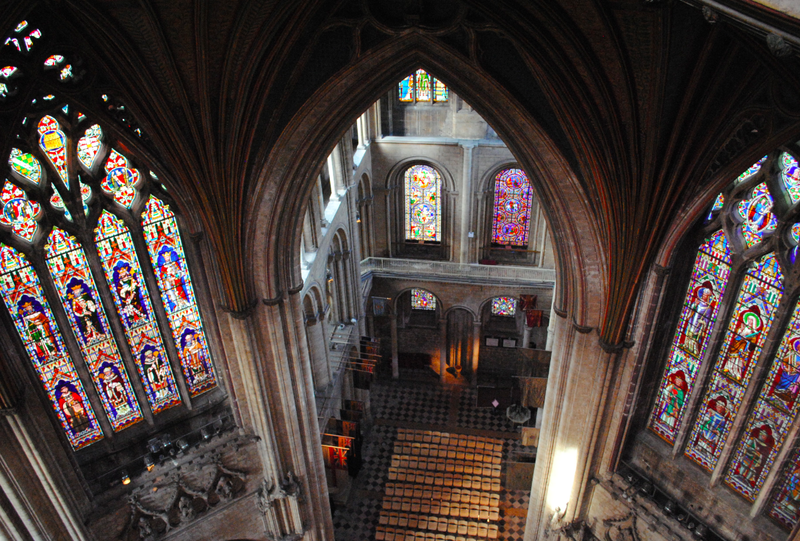 The cathedral contains early Norman to late Perpendicular examples of Gothic architecture with windows of several architectural styles which have been added throughout the course of its history. The 12th century Norman nave features a ceiling of painted panels which depict the history of man with figures of patriarchs, prophets and evangelists. 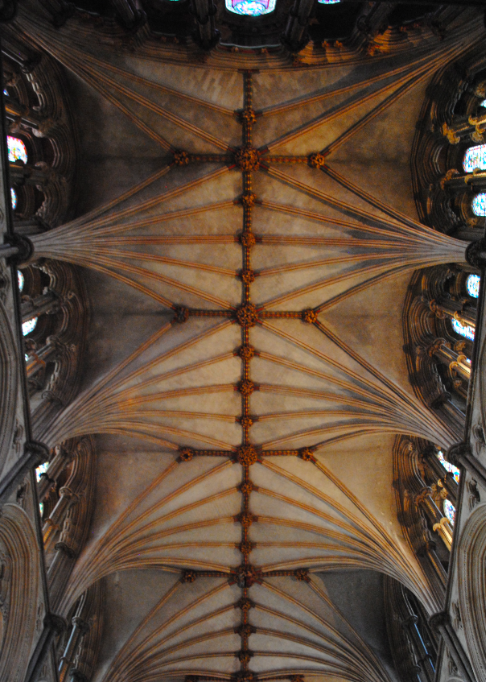 The painting of the nave ceiling was started during the Victorian restoration of the building by the amateur artist Henry Styleman Le Strange in 1858 and following his death in 1862, the painting was completed by the English artist Thomas Gambicr Parry in 1865. Arcades of undecorated columns line the aisles with floor tiles which date to the 19th century restorations. 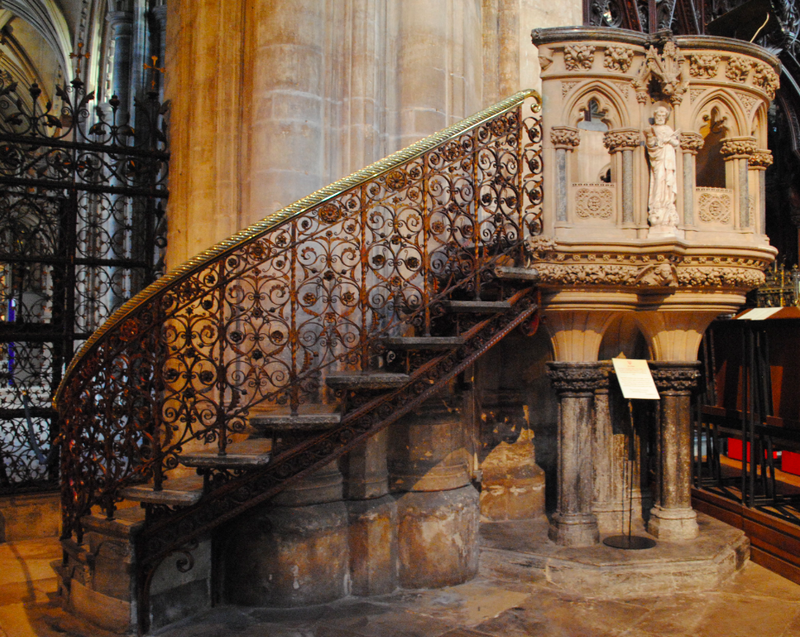 The richly decorated pulpit dates to the 19th century Victorian restorations under the direction of architect Sir George Gilbert Scott. 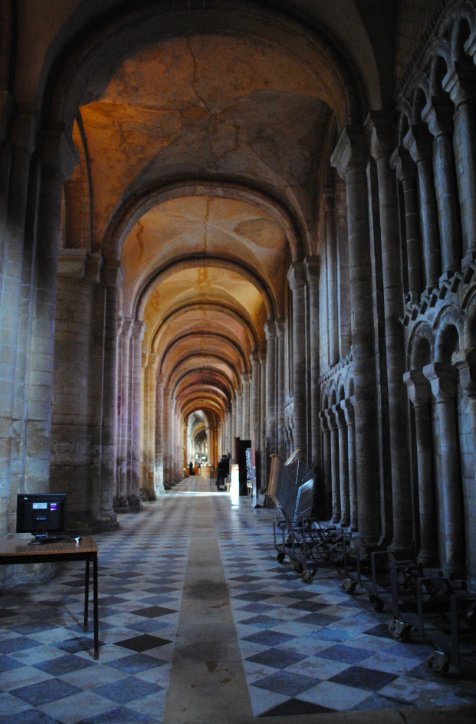 Beautiful vaulted ceilings adorn the cathedral interior which rise up from wall shafts between the windows. The Cathedral of the Holy Trinity is Grade I Listed.